The Hidden Glasgow Forums • View topic - Lost Comic Shops of Glasgow. Lost Comic Shops of Glasgow. There was a stall selling American comics at the entrance to the 'Sloans' close in Argyle Street in the early/mid 80s. It was occasionally across the road at the corner with St Enoch's Square, but usually in the close entrance as it was shelted from the rain. This was in pre-comic shop days, and was a lifeline for (american) comic afficinados in Glasgow as shops only ever got a random selection of US comics, so if you wanted to find out what happened to the X-men following last month's cliffhanger you normally had to get your skates on to the stall in the hope they had it in stock. I'm a complete newbie first timer on this site. Does anyone remember a comic book shop on the Paisley Road near the toll in the late sixties?. It was called "Macs comics" I think, and it was demolished around 1968 or '69 along with the rest of the shops in that wee stretch of road, to make way for work being done on the Kingston bridge, or so I was told!! Harry Ramsdens was later built on the site. I'm a big comic book fan and I have fond memories of that shop. I thought it was nearer Kinning Park. Do you really remember Mac's comic shop? I'm almost sure it was near where Harry Ramsdens is now? I had only just found it back then when they decided to tear it down, but I did manage to buy some good stuff in the few visits I was able to make. Any more info on the place? Do you know for instance who owned it? Did he have any other shops before or after? Thanks guys. Good to talk to you. dexter wrote: Do you really remember Mac's comic shop? I'm almost sure it was near where Harry Ramsdens is now? I had only just found it back then when they decided to tear it down, but I did manage to buy some good stuff in the few visits I was able to make. Any more info on the place? Do you know for instance who owned it? Did he have any other shops before or after? Thanks guys. Good to talk to you. It could well have been where Harry Ramsdens is now. There was a comic shop in Kinning Park. 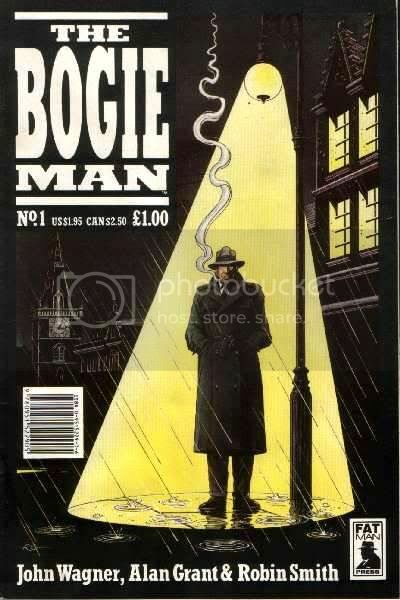 Other traditional comic/book shops I recall were in Springfield Road Parkhead, there was one in North Woodside Road near the Pewter Pot, another in Whiteinch, one in the Gallowgate near the Bellgrove "Hotel" and the last to survive was at Partick Cross. Glasgow obviously still has comic shops but they're not as dark, dingy or anyway romantic. Isn't there still one on Woodlands Rd nr Willowbank Street? The Egg Man wrote: Glasgow obviously still has comic shops but they're not as dark, dingy or anyway romantic. The Egg Man wrote: Isn't there still one on Woodlands Rd nr Willowbank Street? 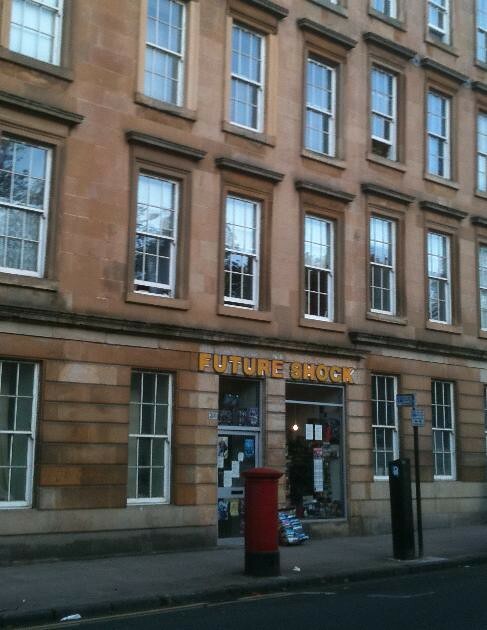 I'm sure future shock was on byres road a while back unless am imagining things... did the shop move recently ? Mori wrote: I'm sure future shock was on byres road a while back unless am imagining things... did the shop move recently ? There was comic shop on Byres Road (at the corner of Chancellor Street?) but I couldn't swear it was Futureshock. It was in Byres Road. I'm not quite sure if moved from Woodlands Road to Byres road and back again. I sold my Fantastic Four collection to the shop in Woodlands road many years ago. Thanks for the info on the "lost" comic shops in Glasgow. Some of them I knew about...some I didn't. Futureshock did indeed move from Woodlands road to Byres road and back again sometime in the nineties I think. There was another shop on the Woodlands Road near the St. Georges cross end. "Books 'n Photos" the name was. That closed in the late eighties or early nineties. Another in Allison St and the best of the lot, "Arthurs books and comics" in DeCourceys arcade at the back of the old Woolworth store on Byres Road. That place was the berries. Had some great stuff out of there over the years. 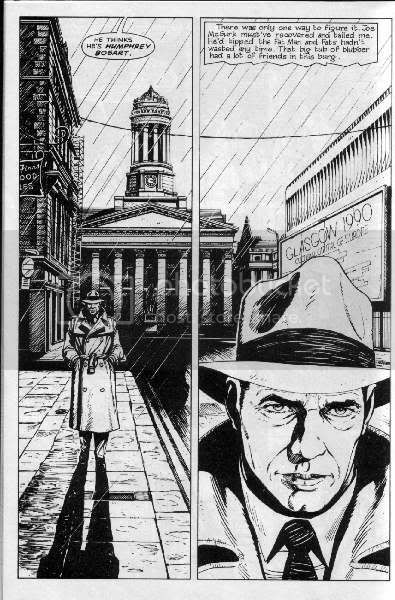 Did anyone go to the comic fairs at the MacLellan Galleries in the early eighties and later at St Aloysius Halls and the City Halls in Candleriggs? I remember my first fair at the Mac Galleries in '83, Up until that point, I thought I was the only guy in Glasgow who had held on to comics (mostly DCs and Dells) from my childhood. Couldn't have been more wrong. There were thousands of collectors all over the UK. Let's hear from you guys. Who still has their old comics? I have been reading Modesty Blaise over the past few months on and off which i used to read in the Evening Citizen during the 60s and 70s...what great stories they are. All your expereinces and best buys over the years folks, and do you stll have your collections ? lets see them! Re: Lost Comic Shops of Glasgow. 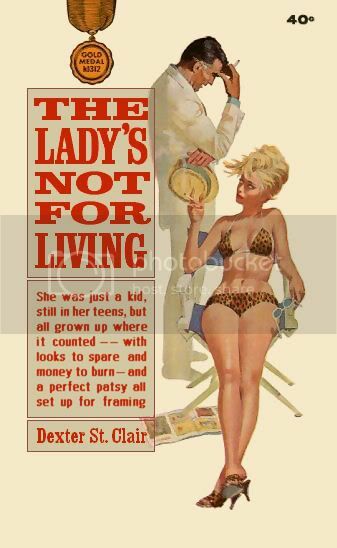 From the The Bogie Man Thread. 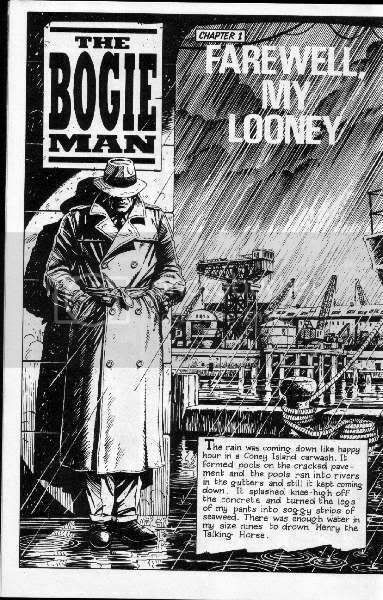 Seamey wrote: No-one seems to have mentioned the bogie man in here, so I thought I would. I'll scan in some of the images.